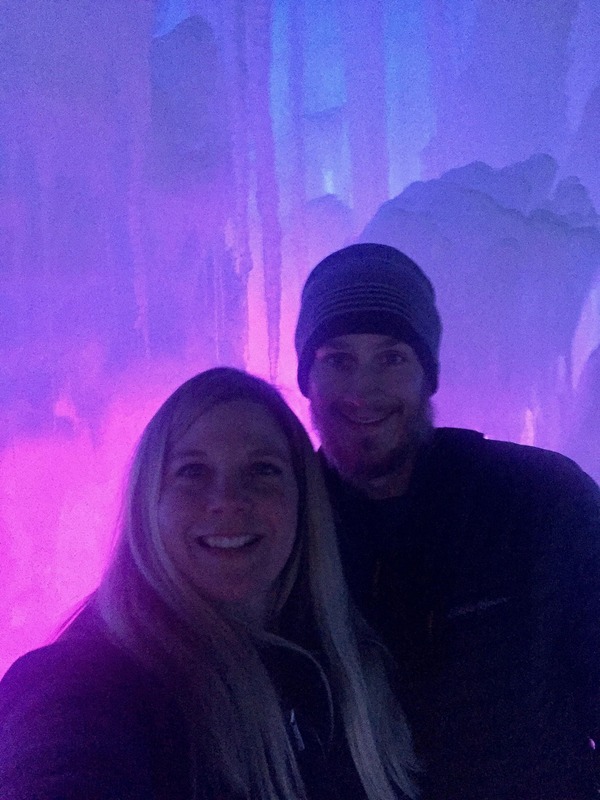 We have been wanting to visit the Ice Castles in Midway, Utah since we first got a glimpse of this magical place! That was over two years ago during our first winter in Utah. We missed it that year simply because we didn’t know the timing of the event. Last year we missed it because the winter season started off slow and we were waiting for a better time that didn’t pan out. We were not about to miss it for a third time! 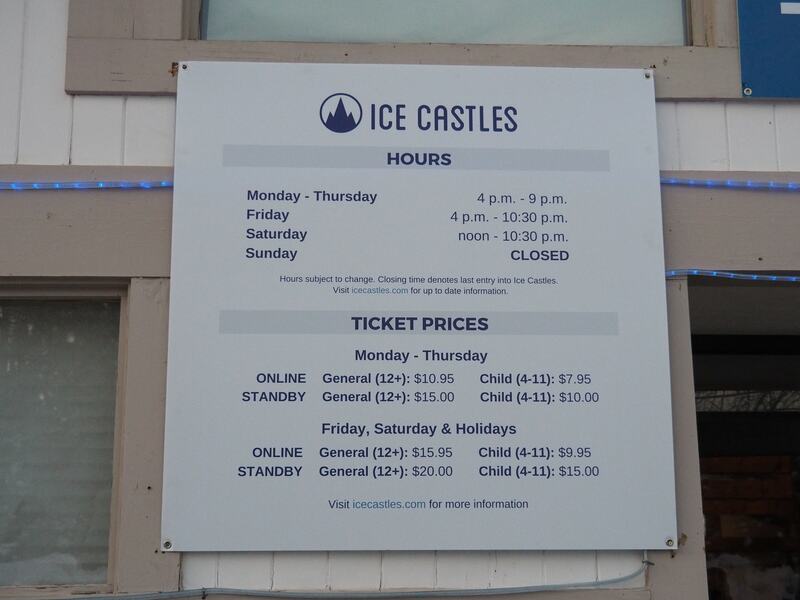 Welcome to Midway Ice Castles! What are the Ice Castles? 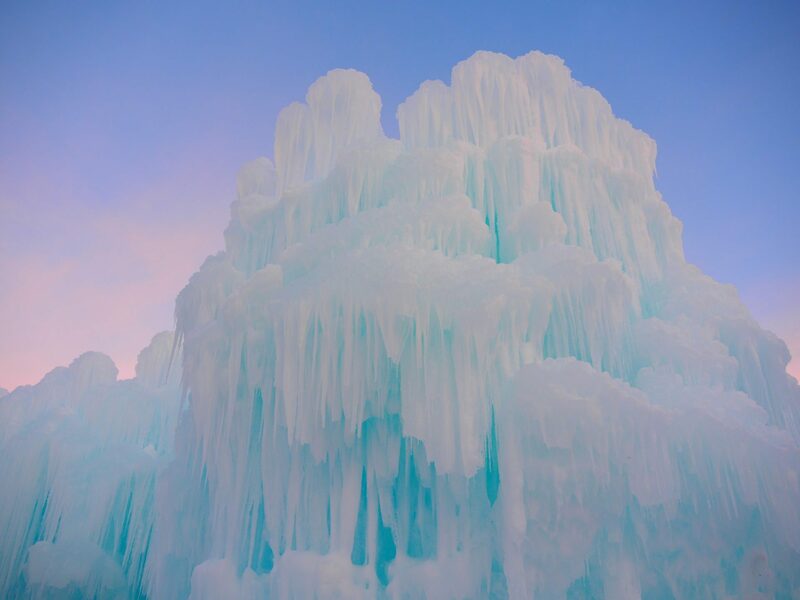 According to their website, the Ice Castles are “an award-winning frozen attraction located in six cities across North America. The experience is built using hundreds of thousands of icicles hand-placed by professional ice artists. The castles include breathtaking LED-lit sculptures, frozen thrones, ice-carved tunnels, slides, fountains and more.” More includes snow princesses and fire performances! 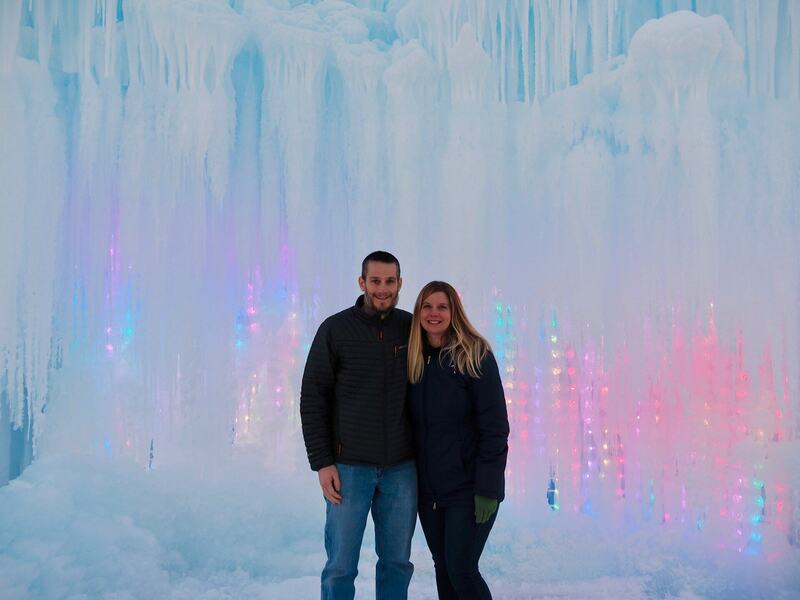 The Ice Castles were so much more than we expected! I (Lindsey) has researched a little about the event so I had a better idea, but Keith immediately said it was larger than he expected. The amount of ice, icicles and snow were very impressive. The LED lights definitely create the feel of magic and the whole area is like an icy playground! 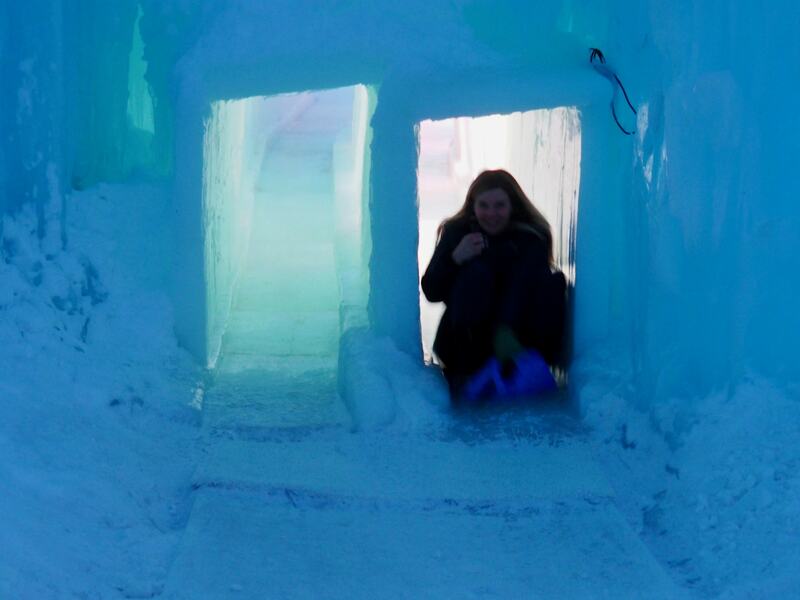 Utah resident and founder, Brent Christensen, built an ice cave for his family in the yard of their home in Alpine, Utah. 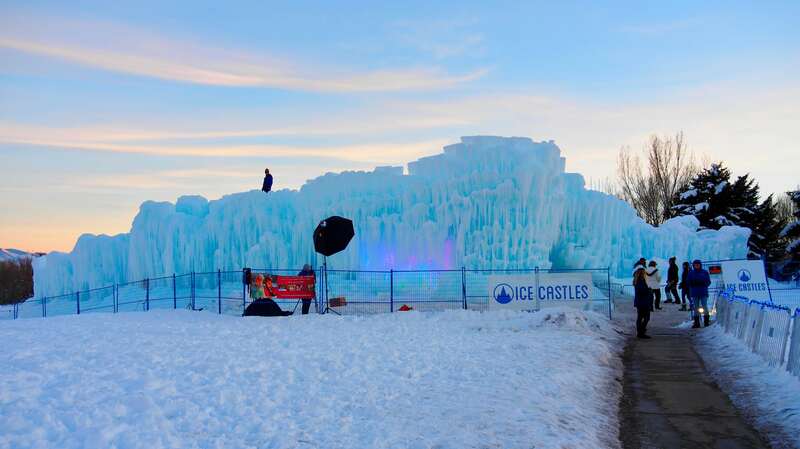 The concept grew from there as locals began to visit and tour the ice creations each winter. 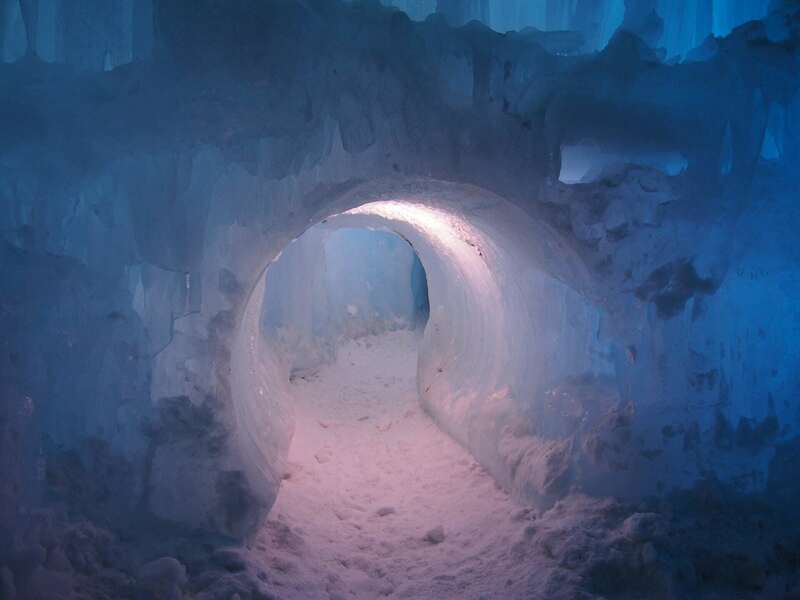 Ice Castles was founded in 2011 with Brent as the lead artist and architect. 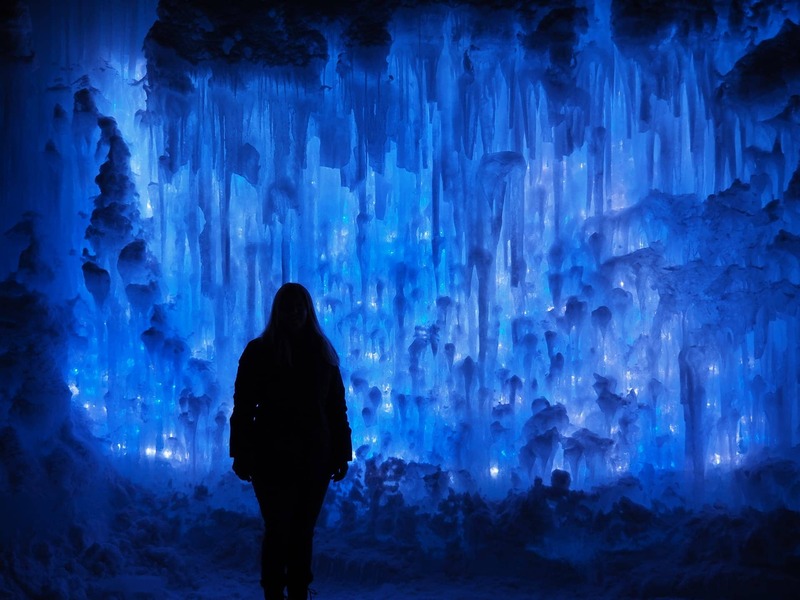 Co-founder Ryan Davis is the CEO of Ice Castles. This unique tourist attraction has grown to six locations across North America. *Be sure to check their website for openings/closings/delays; hours, etc. for each of the locations. 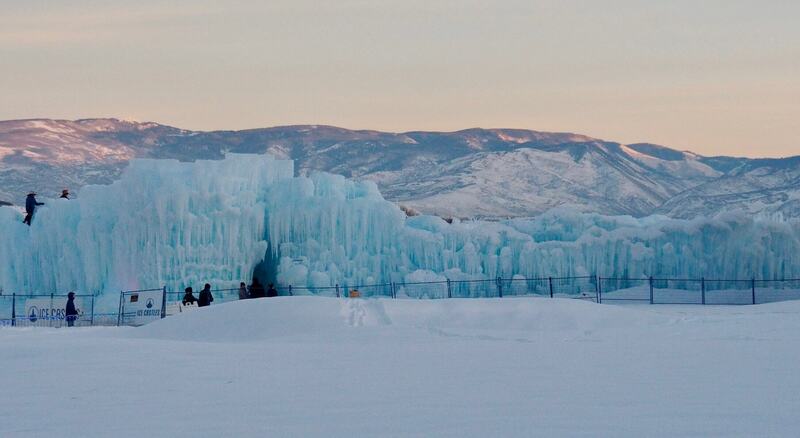 Process: Each ice castle is built by hand and takes thousands of man-hours to create. The daily process consists of growing 5,000 to 12,000 icicles that are harvested by hand and individually sculpted into existing ice formations. Newly placed icicles are then drenched with water. The blend of icicle placement, temperatures, water volume and wind result in an astonishing and ever-changing variety of ice formations. The towering, walk-through structures are made entirely of ice. Each castle is approximately one acre in size and takes approximately two months to construct. The construction team consists of 20-40 ice artisans. Each castle weighs more than 25 million pounds. LED lights frozen inside the ice light up and twinkle to music adding a magical ambiance to the breathtaking interactive sculptures. All of our Ice Castles are located next to a natural water source so all of our water returns directly into the environment to be used again by wildlife, people and plants. The ice slides are SO MUCH FUN! Dress in warm clothes. You are surrounded by ice so it is quite a bit cooler inside the castle area. Wear winter boots. We would highly recommend boots because you are walking in quite a bit of snow. Gym shoes may allow snow in causing wet feet. If you plan on playing on the slides, consider snow pants to avoid a wet bottom. We did not opt for snow pants, but did go down a slide on a mat so we avoided the wet bottom (mostly). If you plan on sliding more than 1-2 times, wear snow pants. Stollers are not allowed, consider a sled to pull children around on.